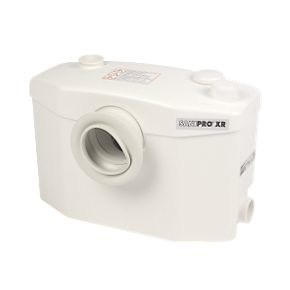 Designed to enable the addition of an en-suite shower room, Sanipro will take the waste from a WC, shower cubicle and wash basin and pump it quickly and quietly through 22mm small bore pipework to a remote soil stack or sewer. Sanipro has also recently received the 'silent' makeover and been fitted with an integrated carbon filter in its elegant new casing. 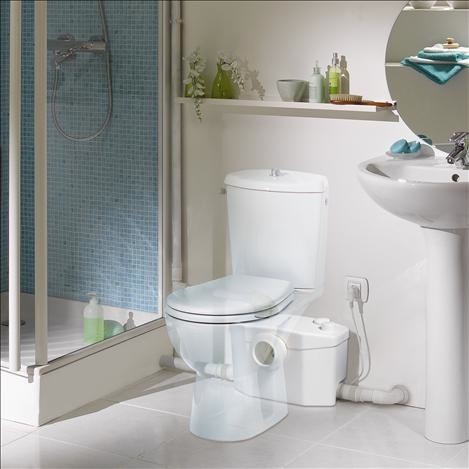 Sanipro is easy to install, works with any style of sanitaryware and can be concealed behind a demountable panel to give access if required. 1 x discharge hose, 1 x vent cap, 2 x inlet connectors, 5 x jubilee clips, 1 x discharge elbow. H x W x D: 305 x 413 x 200mm. Connects to 22mm discharge pipe.